In the near future, things have gone a bit awry. Oligarchs have taken over and are struggling with one-another in order to gain total supremacy. Things seem pretty bleak, but you are one of the Oligarchs, after all. So it can't all be so bad. 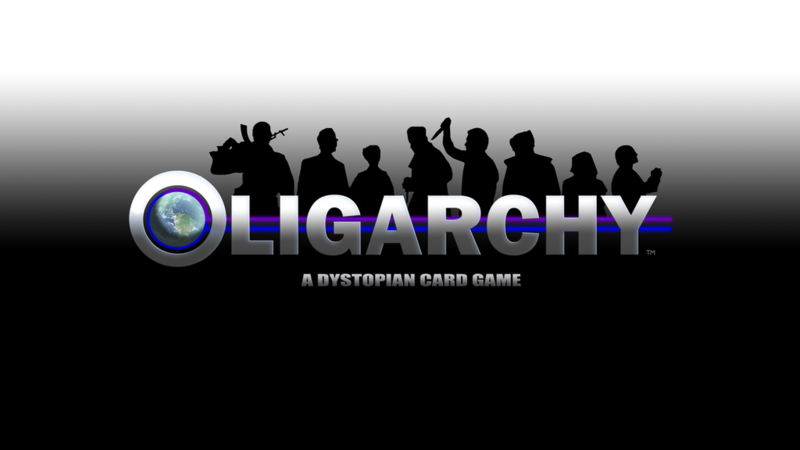 That's the story behind Oligarchy, a new card game that's up on Kickstarter now. In the game, players are looking to gain as many resources as possible, using both their Affluence and Influence in order to do so. Then, with those resources, you'll attack your enemy's power structures. It's a rather cutthroat world out there, and only the strongest will survive. How will you align yourself with the 8 powerful factions in the world in order to leverage their power? Who will you recruit to your organization in order to gain an edge? How will you become the supreme leader? That's all up to you. The Kickstarter campaign's up and running now. They're about 2/3 of the way to their goal with still 24 days left to go.